Nha Trang has made a name for itself as one of the prettiest seaside places in all of Vietnam and if you like sea and sand then this is certainly a great pick. This part of Vietnam is now firmly on the tourist trail and sees a large number of domestic visitors as well as international travelers. For this reason, Nha Trang also has a great nightlife scene, which sets it apart from some of the sleepier resort towns in the country. If you like diving, then this is also a good choice as you can take in a plethora of underwater delights and the visibility off the coast is said to be excellent. All in all, if you want to check out a beach setting in Vietnam then Nha Trang is truly one of the best spots to do so. 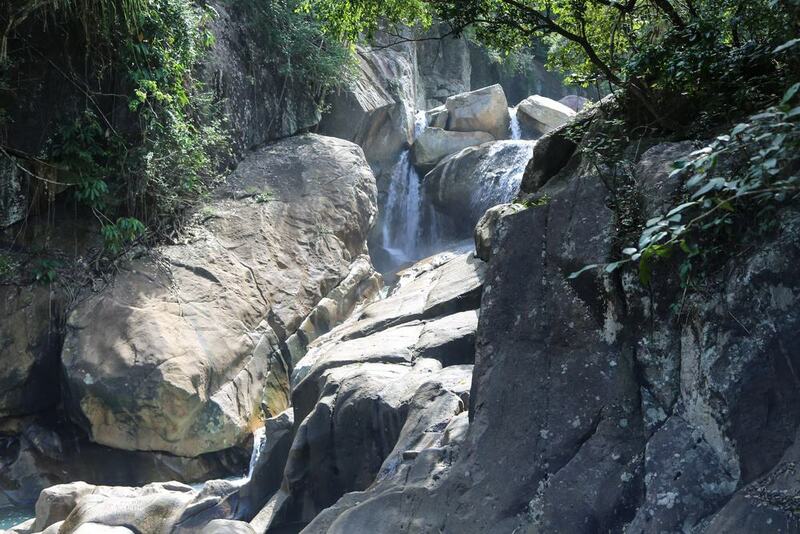 Nha Trang is known for its waterfalls and some of the most famous are Ba Ho and Fairy Spring Waterfalls. These offer you the perfect opportunity to get out and about and see some of the great outdoors in Vietnam. Ba Ho is made up of a series of three cataracts and is located around an hour outside of Nha Trang, although it is well worth making the journey. Fairy Spring Waterfalls also makes a great trip and you will find a large spring here which fills a swimming pool at the base of the falls. 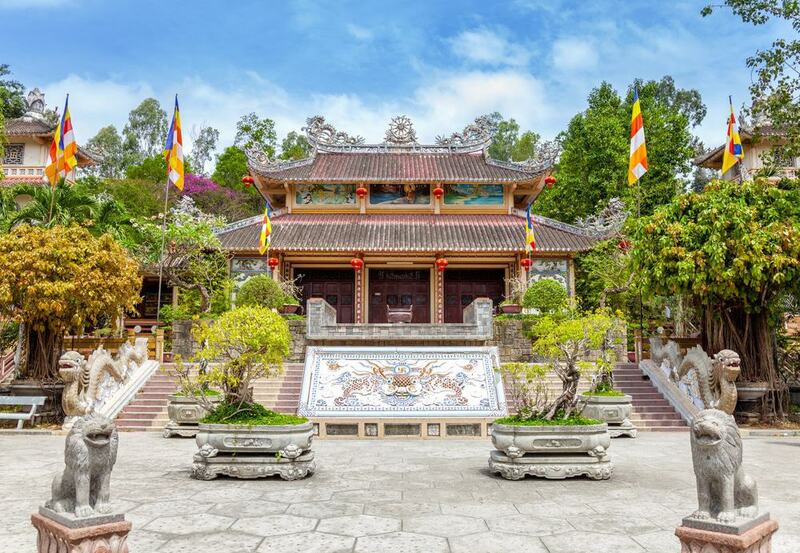 Po Nagar Cham Towers were built from the 7th to the 12th centuries and there are four separate buildings that are used as a place of worship by Cham, Chinese, Vietnam and Buddhist worshippers. There would originally have been around eight towers here in the days of old but now only four are still standing. 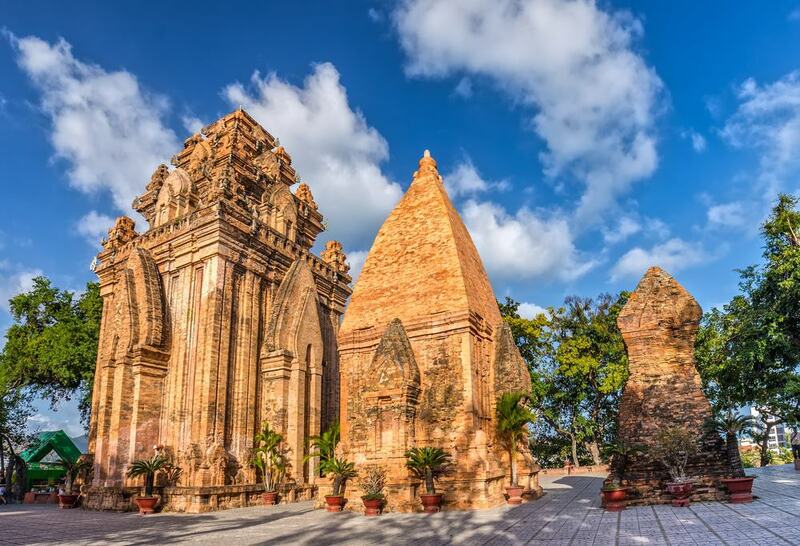 One of these is called the North Tower (or Thap Chinh in Vietnamese) which stands at a height of 28 meters and was built in 817 AD. The tower is remarkable as it has a pyramidal roof which is also terraced and the interior is made up of a vaulted ceiling and a grand foyer. All of the towers are located on the banks of the scenic Cai River and if you like history and architecture then this is one spot not to miss in Nha Trang. 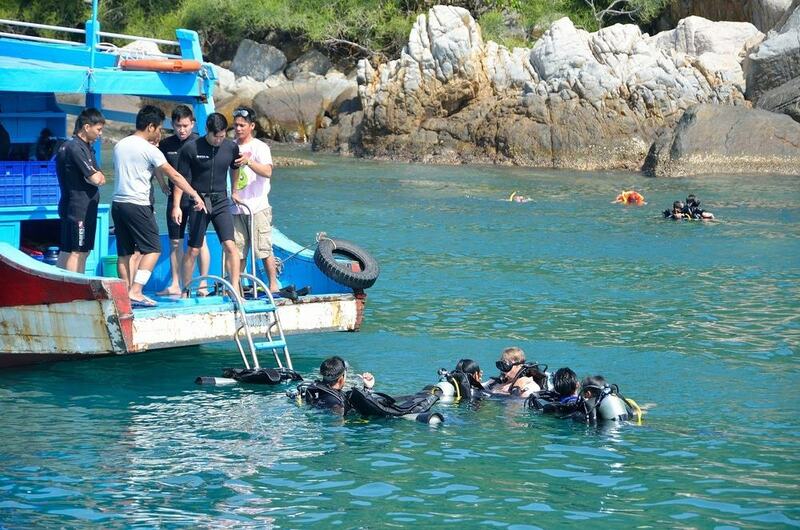 By far the most popular thing to do in Nha Trang go diving or snorkeling and there are a variety of options on offer if you want to do this. You can either opt to swim offshore, or you can take a boat to some of the idyllic islands that encircle Nha Trang which have crystal clear waters and a vast array of sea life. If you want to get PADI certified then there are around 10 dive shops in Nha Trang where you can take classes, although you may want to skip the period from October to December as the weather can make diving difficult and the visibility is poor. 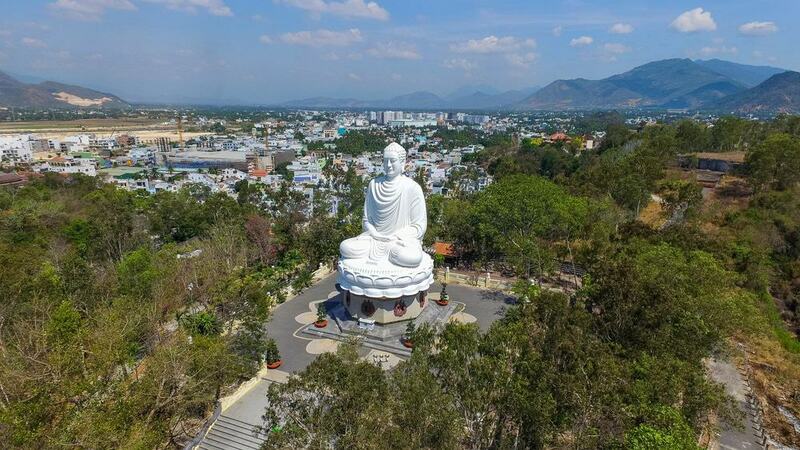 Located at the summit of a hill behind the Long Son Pagoda is large statue of a white Buddha who is sitting on a pretty lotus blossom and measures an impressive 14 meters in height. You can see the statue from all over Nha Trang and it is one of the main landmarks in the city. At the base of the statue you will find some the statues of Thich Quang Duc and six other monks who set fire to themselves in protest in 1963. To pay tribute to the self-immolations of the monks, the statues are ringed with fire. One of the reasons to come here, apart from the chance to see the statues, is to take in the views from the top of the platform. 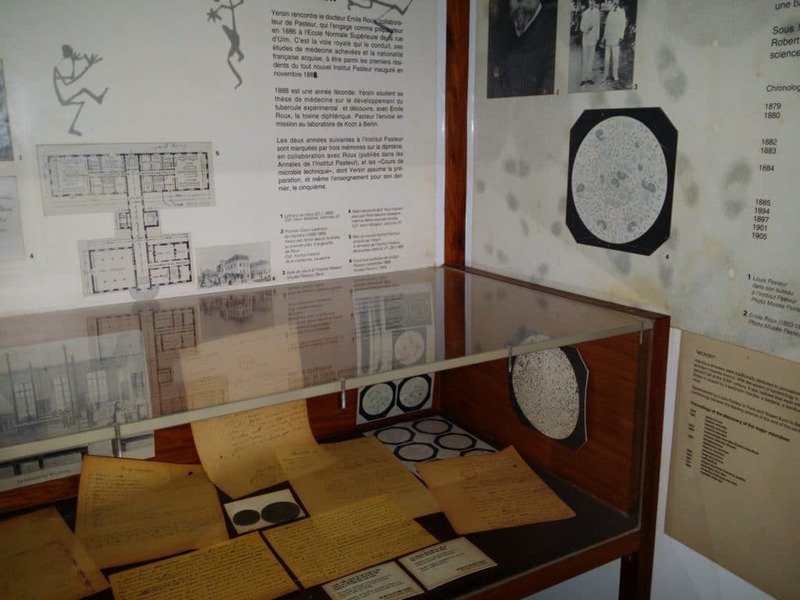 This museum is dedicated to Dr. Alexandre Yersin who lived from 1863 to 1943 and who was a popular scientist in Vietnam. He founded the Pasteur Institute in 1895 and although he originally came from Switzerland, he could also speak fluent Vietnamese. Some of the things that he did in his lifetime included bringing rubber and quinine trees to Vietnam and he also discovered the microbe that causes bubonic plague. When you visit the museum you can tour Yerson’s office and you can also see some of his laboratory equipment. There is also a film about his life shown at the museum. 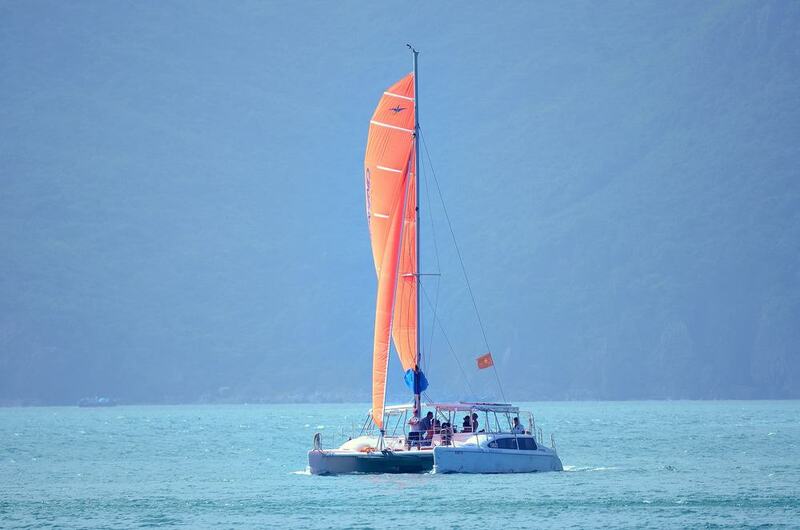 Most of the main activities in Nha Trang take place on the water and with that in mind you can sign up to go sailing here. There are a huge number of boating companies in Nha Trang and you can either go for a simple boat trip off the coast or you can opt to sail to some of the neighboring islands. Many of the boat trips available here also offer you the chance to go diving or snorkeling off the boat and they also usually serve a buffet lunch. Another great reason to come to Nha Trang is for the shopping. The choices here are very varied and you can shop at high end mall or choose something a little more authentic. If you want to shop like a local, then head for Dam Market where you will find a range of handicrafts as well as specialties like dried seafood and local produce. You can also buy Vietnamese textiles and clothes here and they also sell street food from the stalls set up in the market. 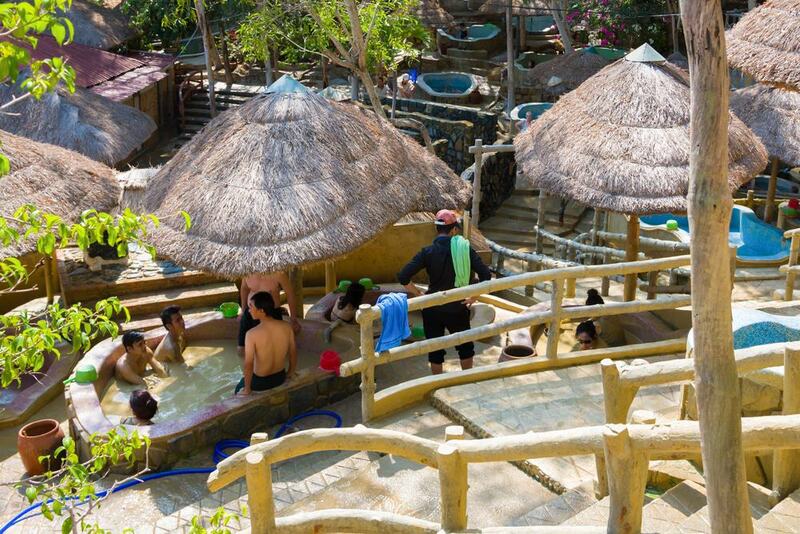 Just to the north of Nha Trang is the Thao Ba Hot Springs and Mud Baths which is the perfect spot if you are looking to relax for the afternoon. The baths here are made up of a series of both hot and cold pools, or you can try something a little different and opt for a mud bath. The mud is said to have healing properties thanks to its high mineral content and people usually slather their skin with the mud and then lie down in the bath and let it work its magic. Be warned that you will have to walk up a steep set of steps to get to the top of the Long Son Pagoda. The hike may be a little challenging, but it is more than worth it to take in the views. The pagoda dates from the 19th century and you need to make sure to check out the mosaic dragons that adorn the roof and the entrance. As you enter the main sanctuary you will also find a large hall which is covered in traditional motifs which have been reinterpreted in a more modern style. If you travel around 10 kilometers to the south of Nha Trang then you will find a number of traditional floating villages. 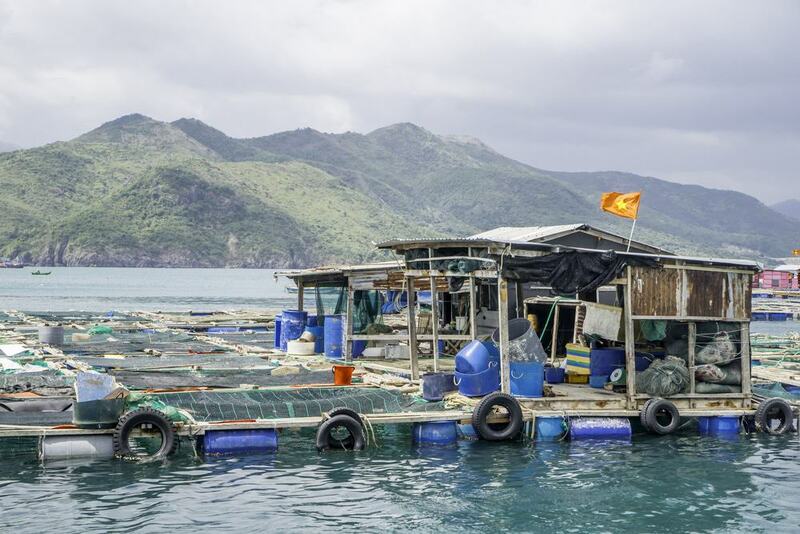 As you would expect, these form the backbone of the fishing community in Vietnam and you can now visit the villages and see a more traditional way of life in Nha Trang. When you visit the village you can take a tour on a small boat, or there are a number of boats that will take you straight to the villages from Nha Trang. 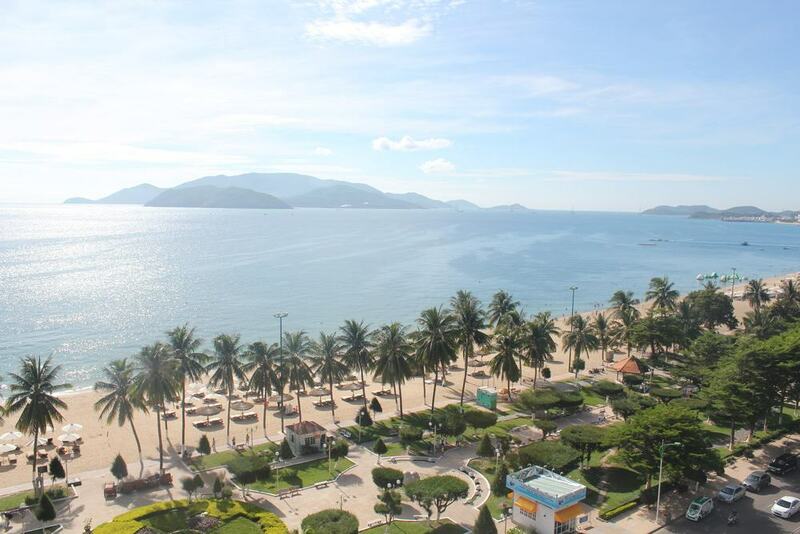 Nha Trang is primarily a beach destination so with that in mind head to the main strip of sand here and top up your tan. The beach stretches for miles and this is a good choice if you want to sunbathe as you can hire a deck chair for the afternoon and chill out in the sun. There are also a number of local vendors here who walk along the beach and sell delicious seafood based snacks as well as cooling tropical fruit. You won’t find a huge number of museums in Nha Trang, but one that you can visit is the National Oceanographic Museum of Vietnam. Like almost everything else in the region, the museum has a maritime theme as well as a large aquarium. 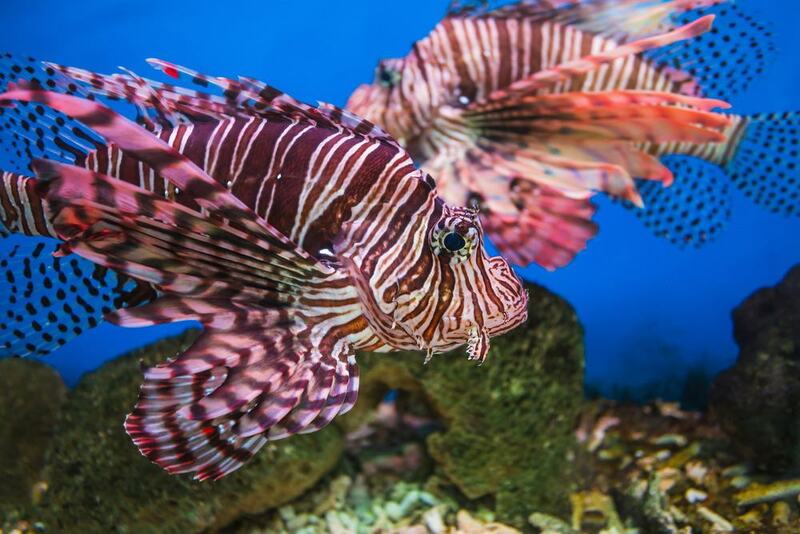 Here you will find a wide variety of colorful fish and there are also some rare indigenous underwater creatures here that are worth the visit alone. Some of the resident marine life that you can see here includes sea horses, sharks and turtles and this is a great choice if you are travelling with younger visitors. 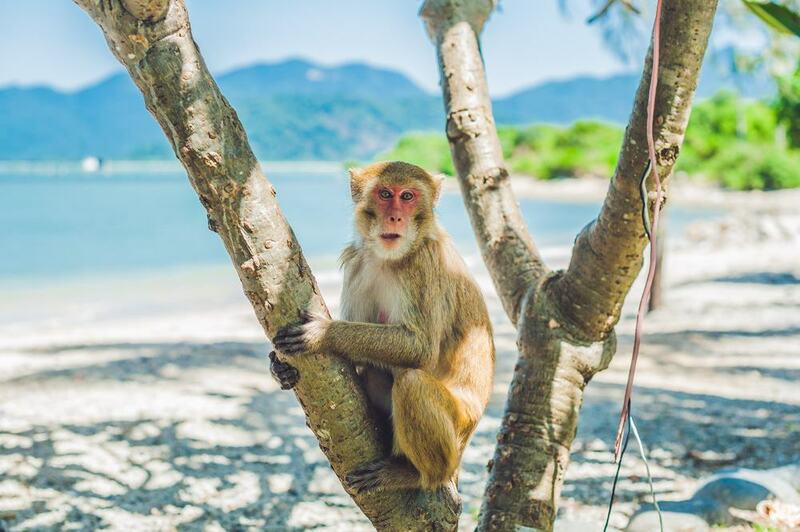 20 kilometers off the coast of Nha Trang lies the charmingly named Monkey Island. As you would expect, the island is so named as it is the home of hundreds of primates and this is the main reason why people come here. To get to the island you need to take a ferry ride across the water and the island has a number of attractions in its own right such as a go-kart circuit and a several entertainment shows. 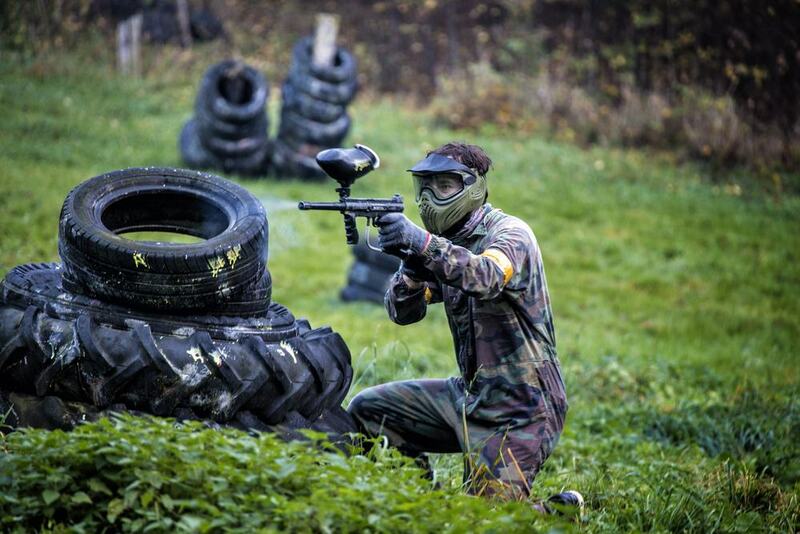 If you are looking for an adventure in Nha Trang then consider trying out Nha Trang Paintball. There are two different excursions per day that you can choose from and you will get a paintball gun as well as some protective safety equipment. After that an instructor will assign two different teams and you can then start the match. This will require you to try and shoot your opponents with paintballs and this is a top spot if you are looking for some fast-paced fin in Nha Trang. Anyone who is a photography fan should make sure not to miss the spectacular Long Thanh Gallery. 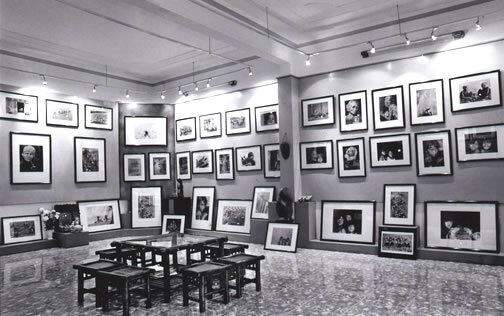 Here you will find mostly monochrome prints by one of the most illustrious photographers in Vietnam. Long Thanh started working in 1964 and many of his works are focused on local communities and simple portraits of daily life in Vietnam. If you want to get an alternative look at the local culture in Nha Trang then this is not to be missed. 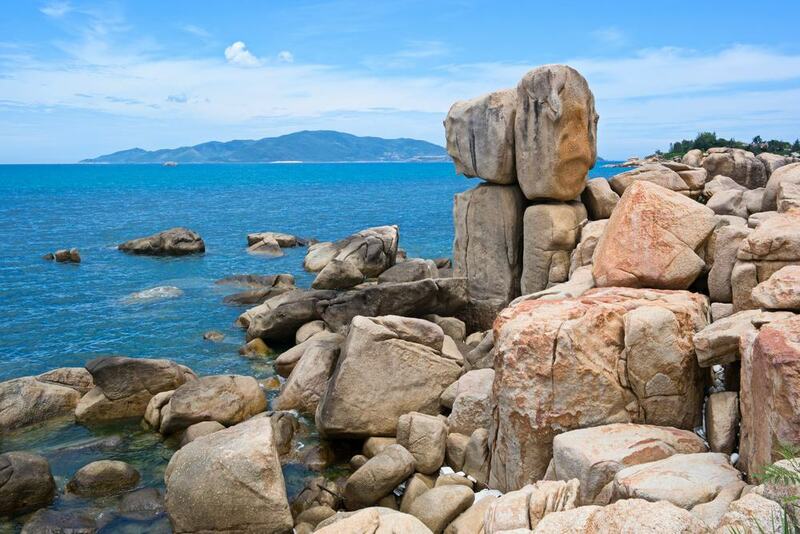 Yang Bay is the perfect spot to visit if you fancy getting out of the center of Nha Trang. 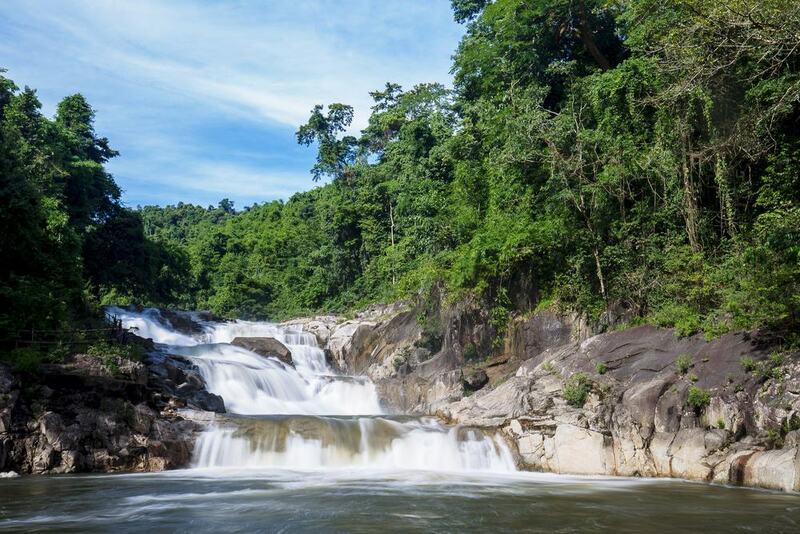 Here you will find a number of different waterfalls in the form of Ho Cho, Yang Khang and Yang Bay and you can also check out the encircling forest and pretty mountains at the same time. This part of the region is usually far less visited by tourists to Nha Trang so if you are looking for a day away from the packed beaches then this is an excellent choice. Thanh Citadel dates from the 17th century when it was built at the time of the Trinh Dynasty. 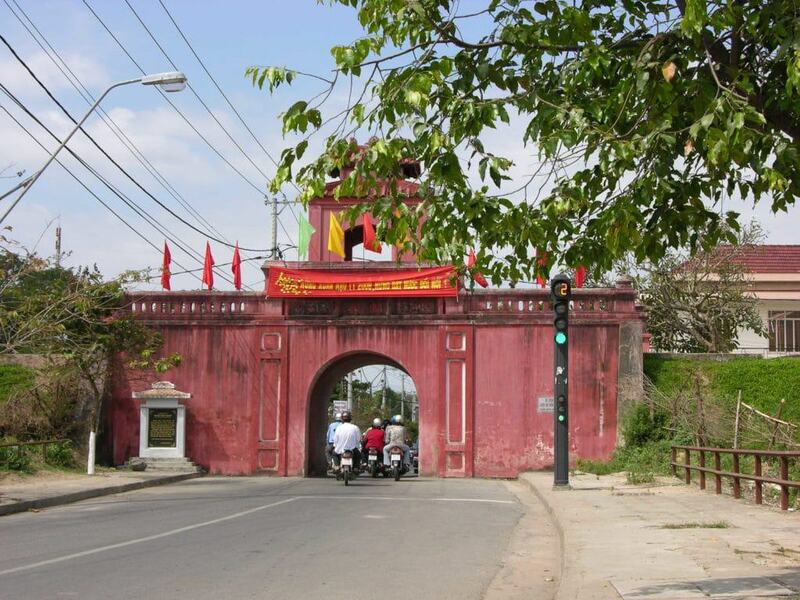 It was then rebuilt again by Prince Nguyen Anh in 1793 as part of a battle with the Tay Son Rebels. Unfortunately not much of the citadel still remains although you can see some of the original wall and gates and this is a good spot if you want to see some of the more traditional side of Nha Trang. If you fancy a bit of adventure in Nha Trang, then head to Hon Tam where you can take a scenic hot air balloon ride. 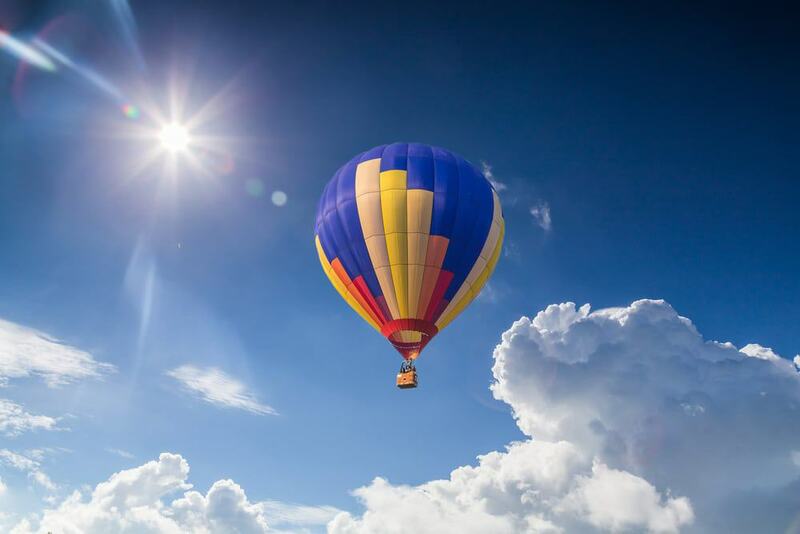 The balloon center is located at Pham Van Dong Street and you can ride up to 150 meters in the balloon which takes around 20 minutes and allows you to take in the best of Nha Trang from a height. If you want to take some aerial pictures of the city as well as out to sea, then this is hard to beat. Vietnamese food is famous the world over, and with good reason as it is simply delicious! 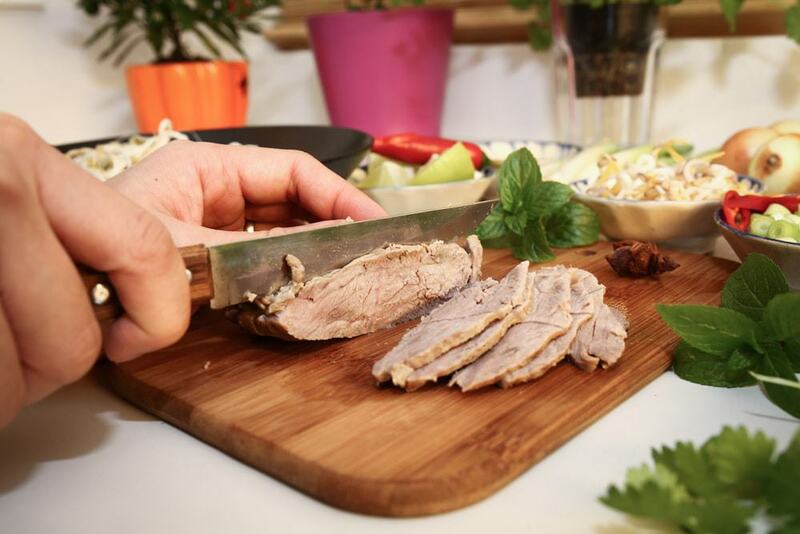 With that in mind, you can now have a go at making your own traditional Vietnamese dishes. Most classes in Nha Trang will take you out to the local market where you can pick up a range of herbs, meats, vegetables and spices, and then you will come back to the kitchen and learn how to whip up a delicious Vietnamese feast. If you like photography then make sure not to miss the Do Dien Khanh Gallery. This is owned by Vietnamese photographer Do Dien Khanh and many of his photographs tell the story of local life in the countryside. To that end, many of his works include beautiful images of the local Cham community and you can admire the photographs and also buy some of the prints as souvenirs or gifts. Anyone who likes street food will love spending time in Nha Trang where you can sample a wide array of delicious street food snacks. 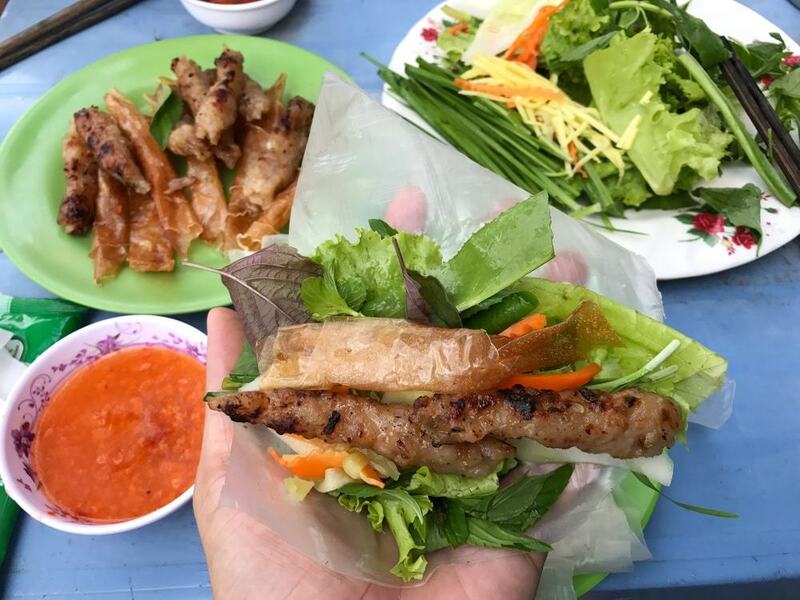 As Nha Trang is by the coast, seafood is widely featured, or you can try other dishes such as thit bo nuong la lot which is a snack made from beef which has been wrapped in lo lot leaves and then grilled. Other tasty choices include banh can which is a rice flour pancake which is topped with meat or seafood and then cooked over a grill. If you like golf then you are in luck in Nha Trang as there are a number of premium 18 hole golf courses here such as the Vinpearl Complex and the Diamond Bay Gold Course. These courses are built to a professional standard and you can fit in a round of golf while also taking in the spectacular views over Nha Trang. 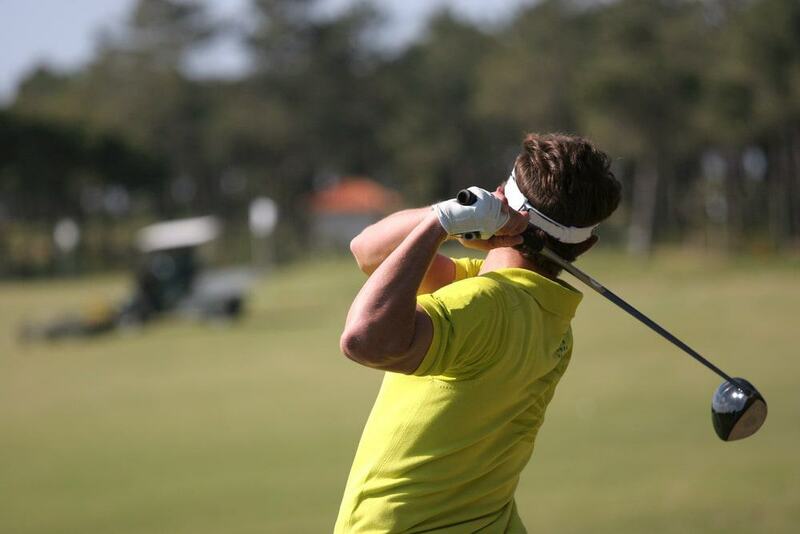 Certainly if you want to get outside then many of the courses have stunning rolling greens as well as clubhouses where you can relax with a drink and take in all the scenery. 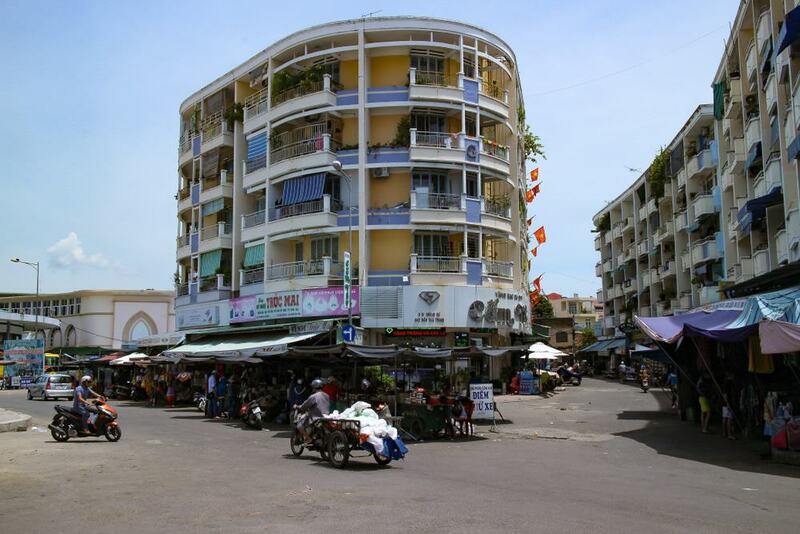 The area around the Nha Trang Tourist Centre is known for its blind massage parlors which is a good way to help the local community while also relaxing and unwinding. Blind masseurs are trained in the art of Vietnamese massage which includes elements of other Southeast Asian techniques such as Thai massage. You can opt for a variety of different kinds of massage and most treatments last for around an hour. Hon Chong is made up of a granite promontory which looks out over the pretty mountain-lined coastline for which Nha Trang is famous. There is also a beach here as well as a model of a traditional Ruong home and some cafes and eateries. As such, if you are looking for an alternative to Nha Trang Beach then this is a good pick and you can also watch local children diving into the water off the side of the promontory. 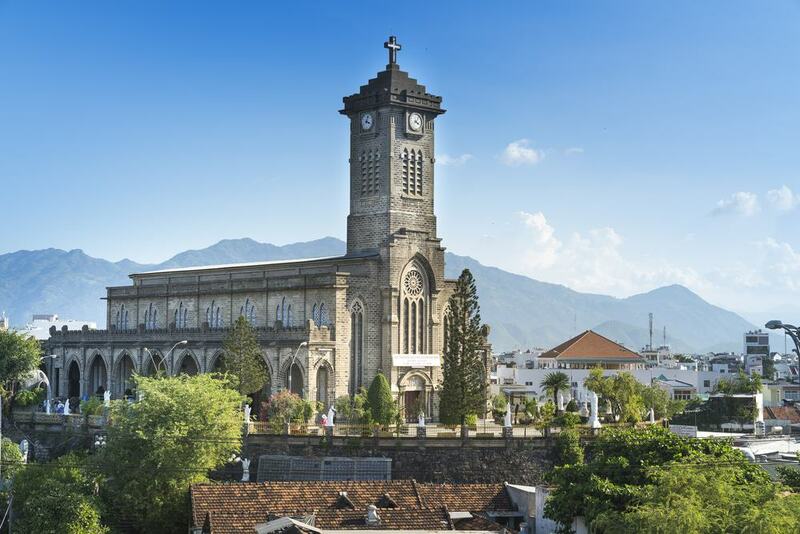 Nha Trang Cathedral was built from 1928 and 1933 and is designed in the French Gothic style. There are some gorgeous stained glass windows here and the cathedral is located on a lush hillside with pretty views over Nha Trang. The cathedral is also noteworthy as it mixes local elements with the French architecture such as red neon crucifixes and blue neon arches that adorn the inside of the church. You will also see an unusual white neon halo which graces the head of a statue of Saint Mary.